How to create a forum successfully? How to build a forum community? Forumotion allows you to create a forum for free, unlimited and safe in 2 minutes. After reading this tutorial, you'll know how to create a free forum and start with a virtual community. The solution to learn how to create a forum or a message board in seconds. How to create a blog using Forumotion? Forumotion is the perfect forum hosting solution and offers you a complete forum service. 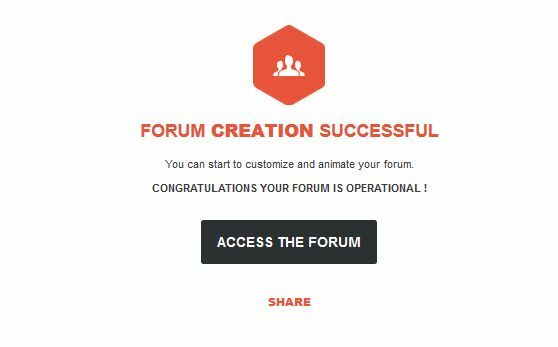 Our platform allows you to create, manage and customize your forum easily thanks to online forum creation tools. Enjoy free forum with all features included. Learn how to get your own forum! Nothing is easier and faster than running a forum on Forumotion, plus it's completely free! It's an easy to follow guide for beginners and passionate forumers. No technical knowledge necessary to build your own message and discussion board: easy content and member management, intuitive interface, updated forum software, ... To create a forum in 2 minutes flat, just fill in the form. Follow the instructions to know how to create a free forum successfully. This step-by-step guide will explain you the different steps to create an internet forum, or message board, using Forumotion.com. It takes few minutes to make a successful forum. Just follow the simple steps below to start your new online discussion website for free. Forumotion allows you to easily start your online forum for free. Anyone can create a free forum in no time. Learn how to start a forum for free in 5 steps. 1 Visit the free forum creator and select the forum software and the forum style / theme. 3 Enter your account details and validate the creation. 4 Enjoy your free forum. 5 Make it yours with the advanced customization features. 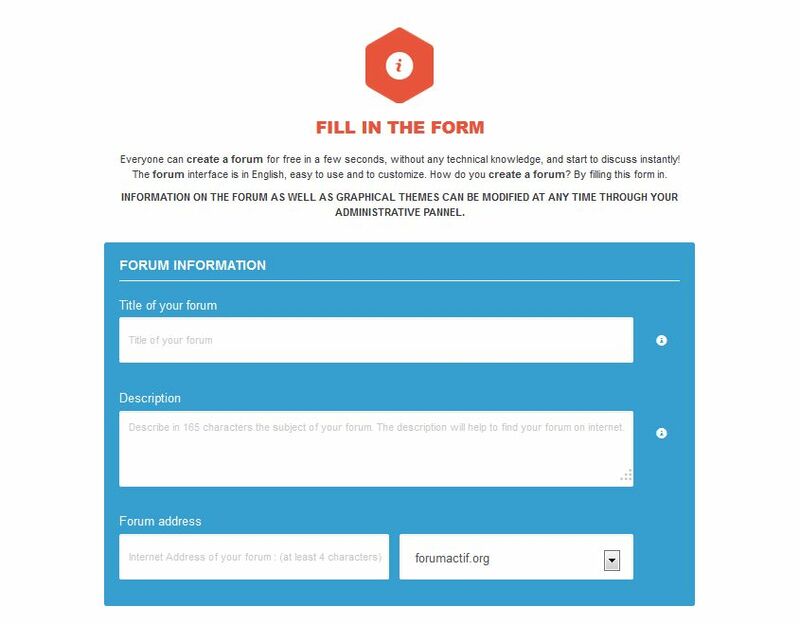 The Forumotion's forums are easy to use and to customize. You can edit the style / theme to change the layout of your forum and build your forum community. Step 1 allow you to set up your forum correctly. Start making your online forum! Choose the version and the theme that fits more about your forum. PhpBB3 forums are perfect for beginners, Invision forums are designed for experts for instance. You can choose from over 3,000 different themes to create your free forum on our website Hitskin reserved for free skins. Many different and beautiful skins, choose the template that you want. Step 2 shows you how to configure your forum. Tell us the title of your free forum and a description explaining the subject of your forum as well, users can easily find out what’s your forum speaking about in a wink. Then select the Internet address of your forum and select from dozens of domain names available to you to compose the address of your free forum. You can edit this information at any time after you have created your forum. In step 3, tell us your email address and a password so you can login to your forum. To protect your message board, be careful to set a secure password. As the forum owner, you will access to the community management with with the username and password. Congratulations! Your free forum has been created; you can go on it and customize it via the admin panel. You can easily customize your forum, choose a topic and create threads. That’s all it takes to enjoy a free forum with Forumotion. You can easily start your message board now and customize it thanks to this tutorial. Don't hesitate to ask questions on the support forum of Forumotion or to visit the Forumotion channel and its video tutorials. You will find many tips to manage your forum and grow your community. Create an Internet forum is accessible to all without needing any technical skill. Enjoy our free forums with all options and features included!